That guy must be desperate. I’m not saying that the chick isn’t attractive or anything, just not quite enough to get you to turn your head while riding your little bike around. That guy looks quite scruffy too. What’s even worse is the car to the right of the street. It’s parked on the sidewalk, lol. 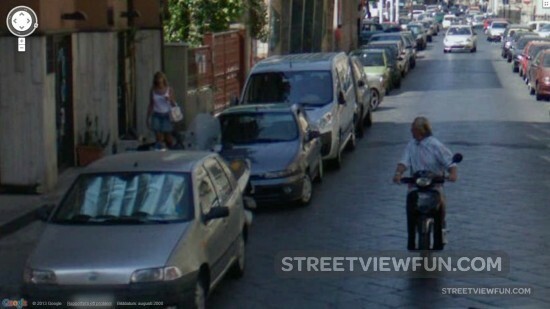 ahahaha it’s obvious that we are in Italy, southern Italy for sure!